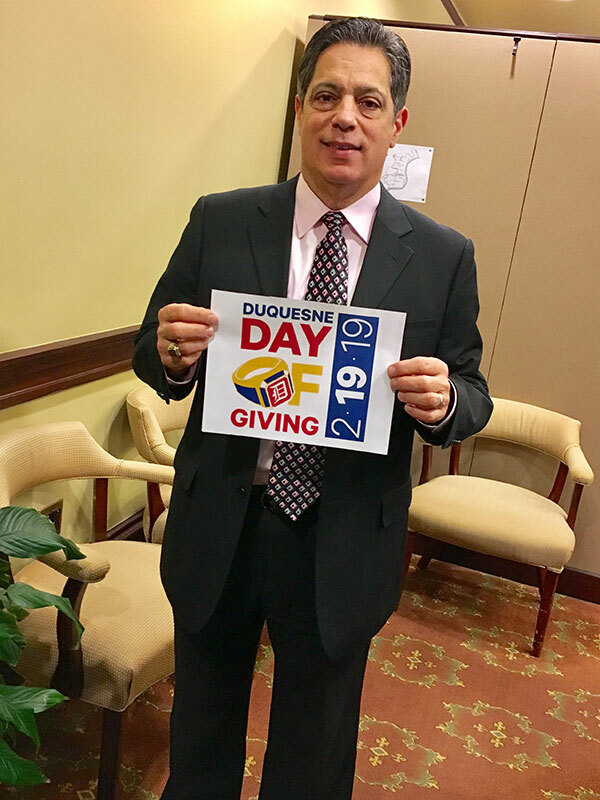 The countdown is on for the fourth annual Duquesne Day of Giving, slated for Tuesday, Feb. 19. 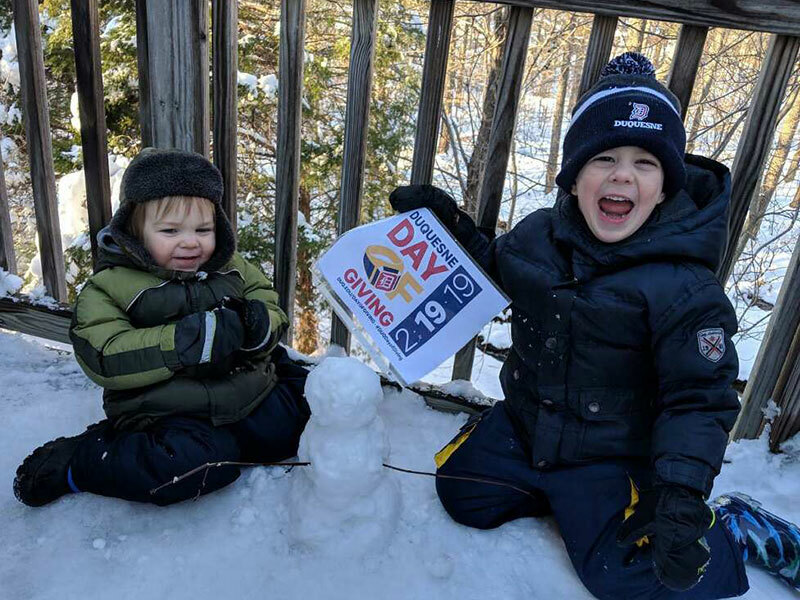 University alumni, faculty, staff, students, parents and friends are encouraged to visit duq.edu/dayofgiving on Feb. 19, and make an online donation in support of the University and its students. 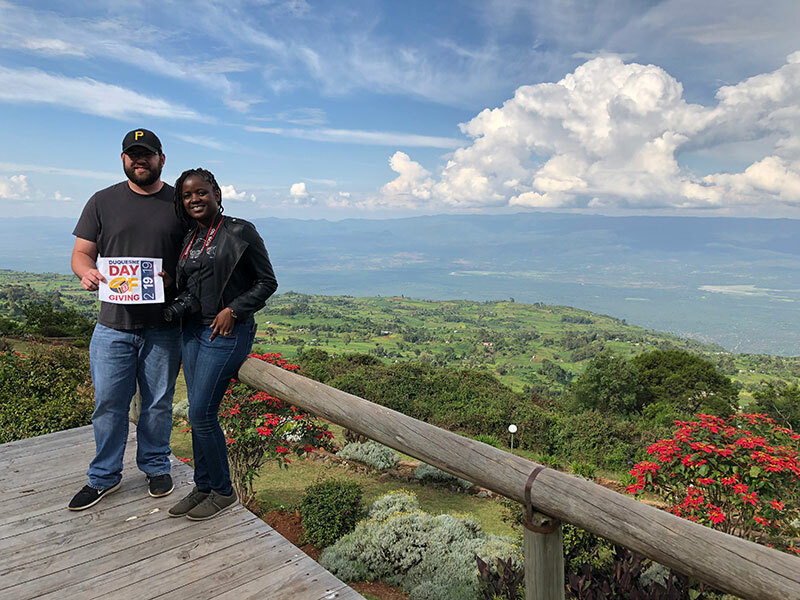 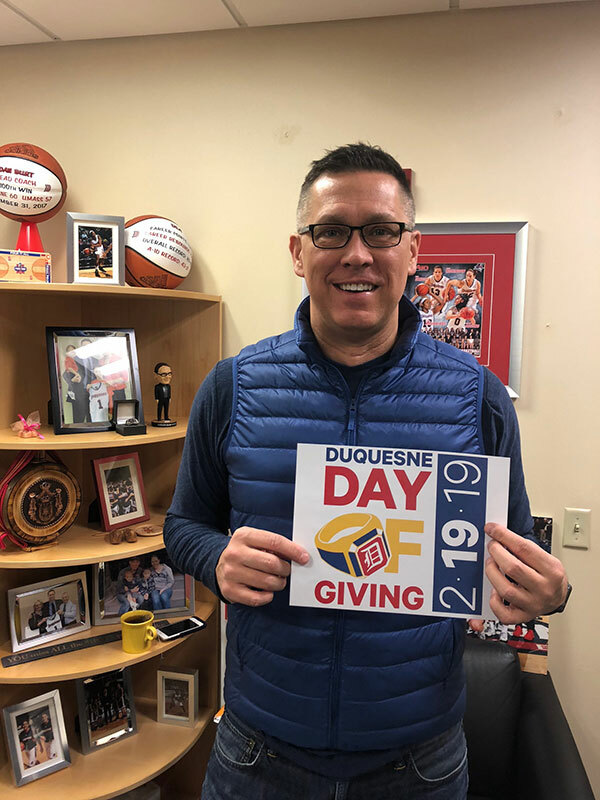 Donors can make an unrestricted gift to The Duquesne Fund (which helps the University meet its most pressing needs) or designate a gift to the school, organization or sports team of their choice. 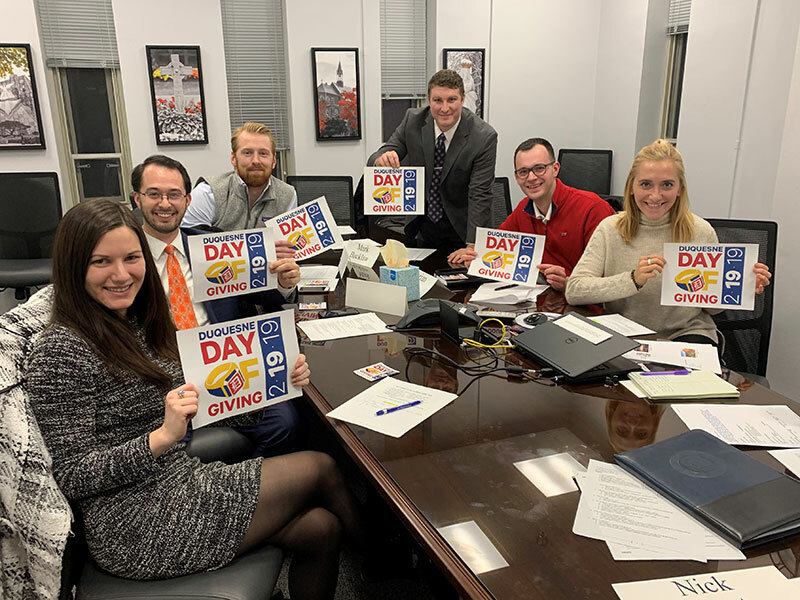 Visit the Day of Giving web site throughout the day to see the amounts raised for each major area of campus, the status of matching gift and participation challenges as they are unlocked, a donor heat map highlighting the states from which donations have been made and other real-time updates. 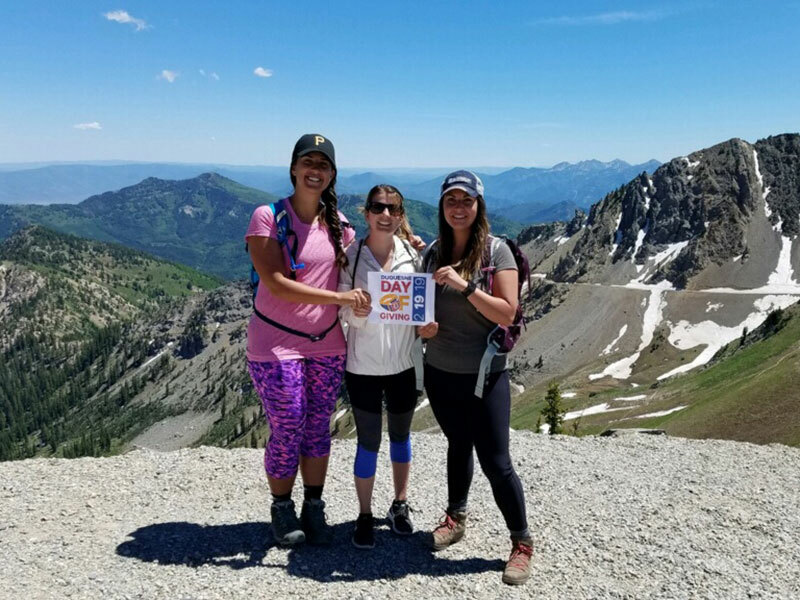 Donors are invited to celebrate Day of Giving happy hour at The Red Ring from 4 to 6 p.m. on Feb. 19. 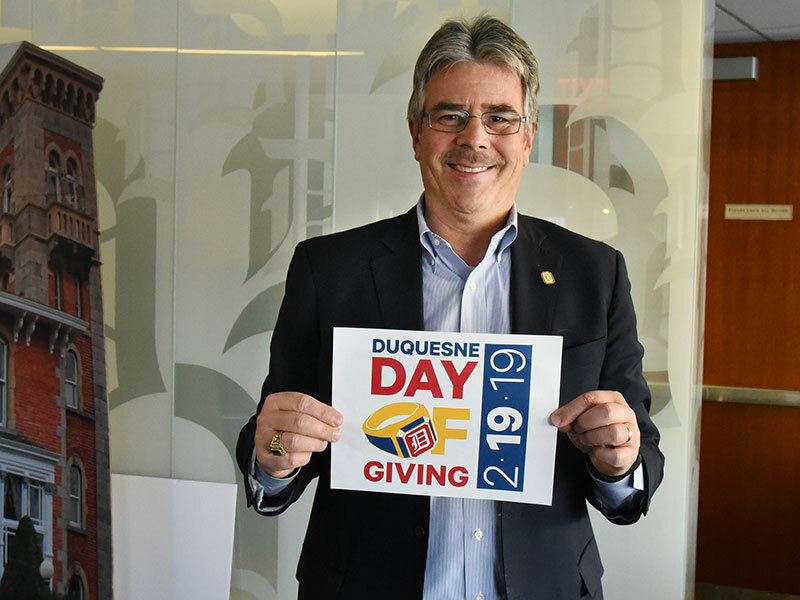 The Red Ring will donate 20 percent of happy hour food and beverage sales back to Duquesne, and attendees will receive a Duquesne Day of Giving koozie. 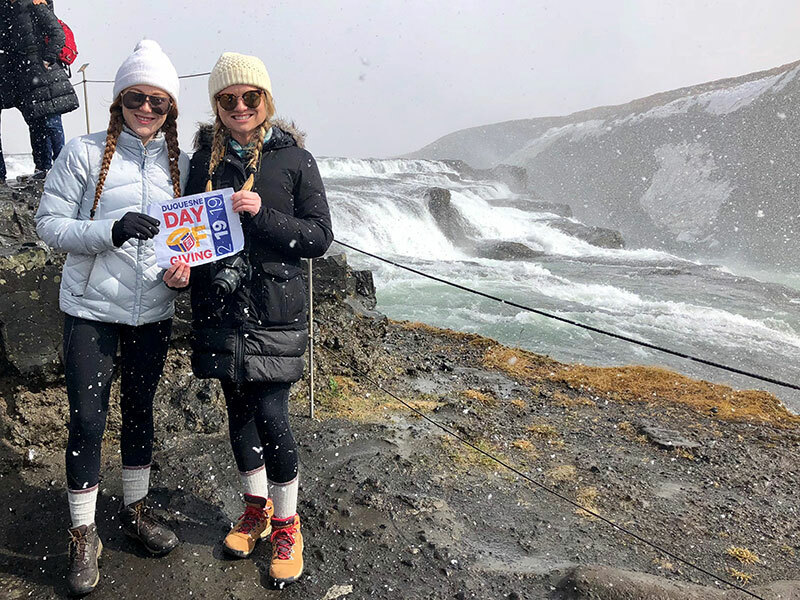 For more information visit duq.edu/dayofgiving or email jakielod@duq.edu.